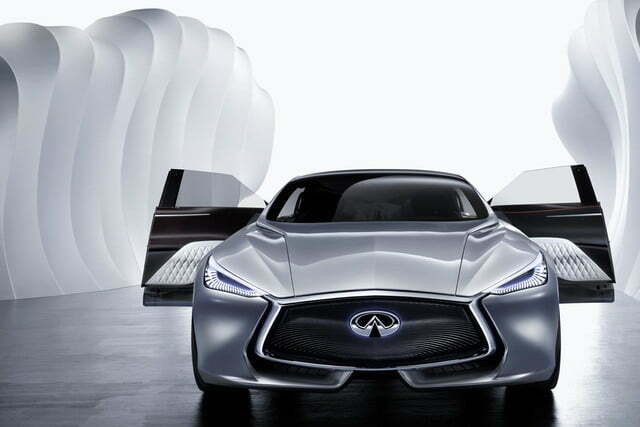 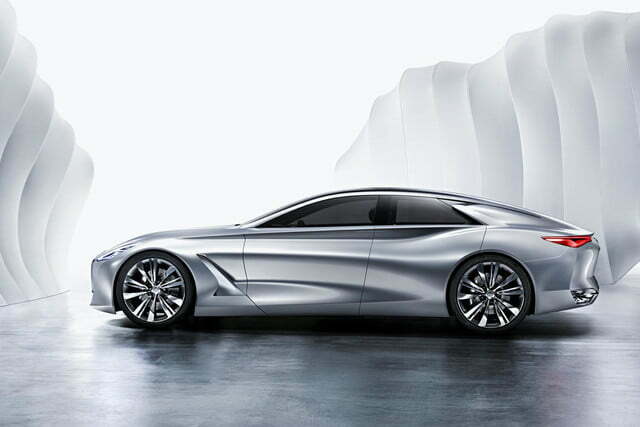 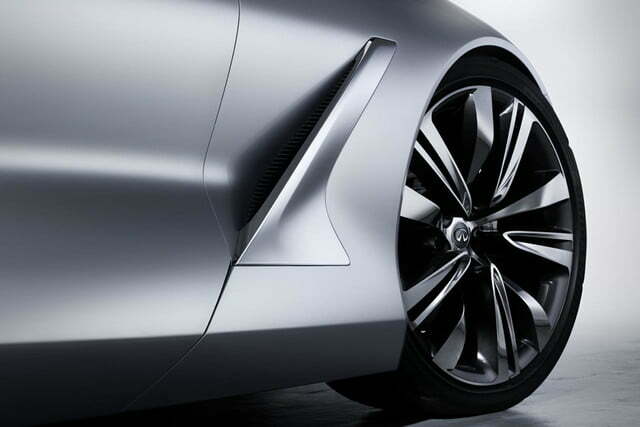 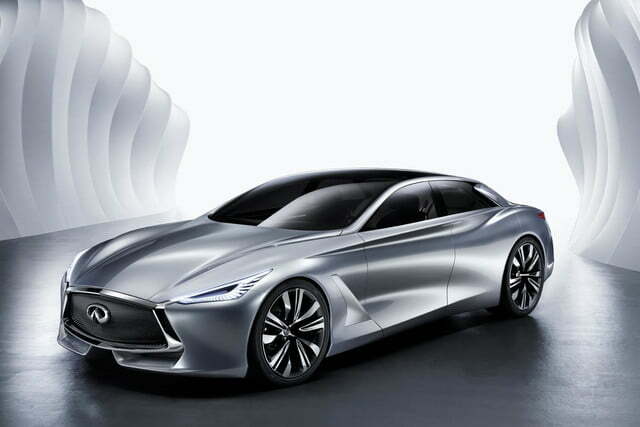 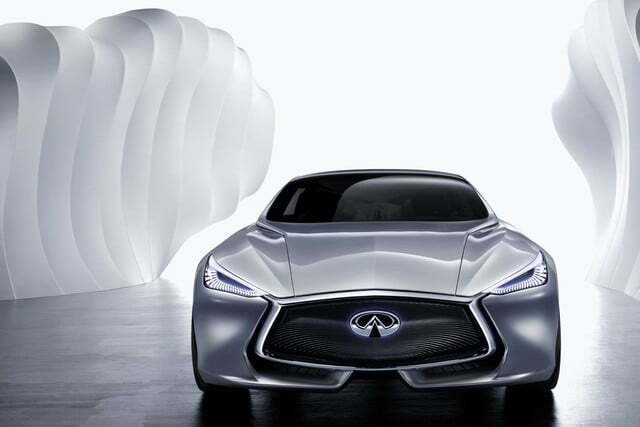 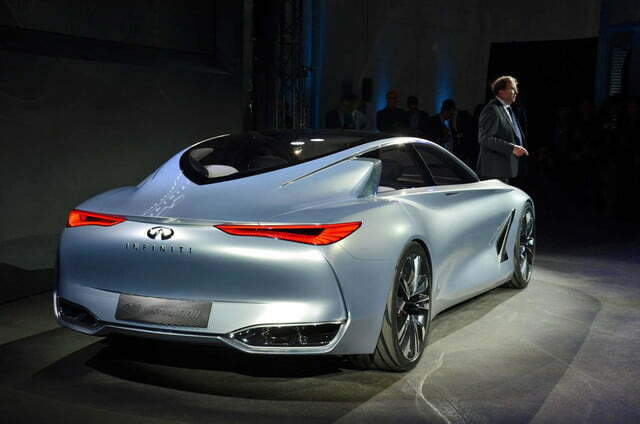 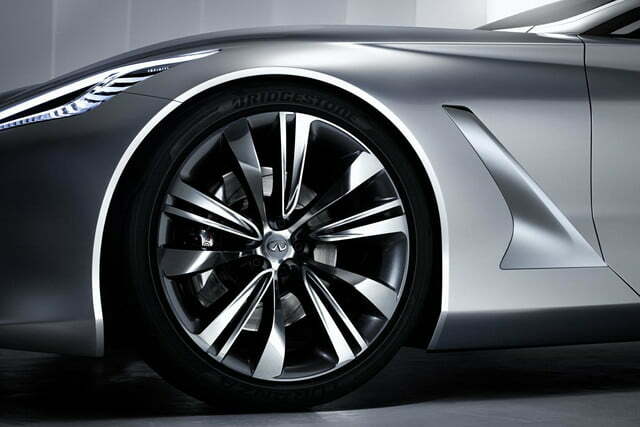 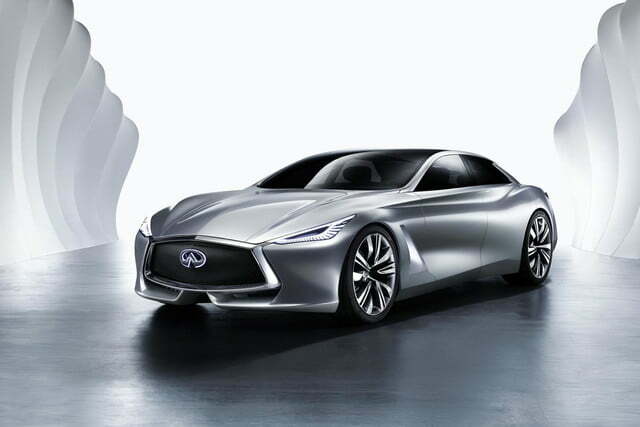 After a quick tease last week, the Infiniti Q80 Inspiration concept has emerged ahead of its official debut at the 2014 Paris Motor Show. 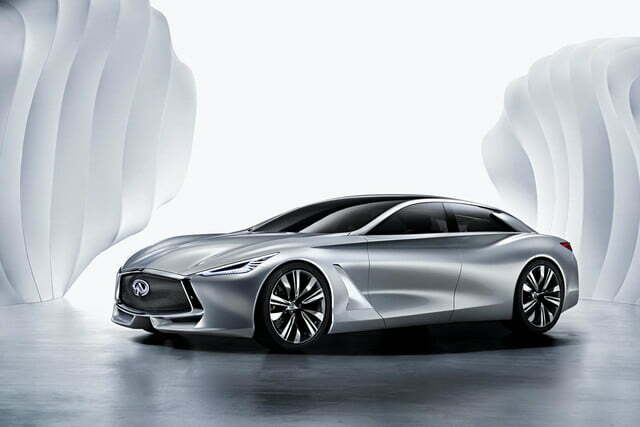 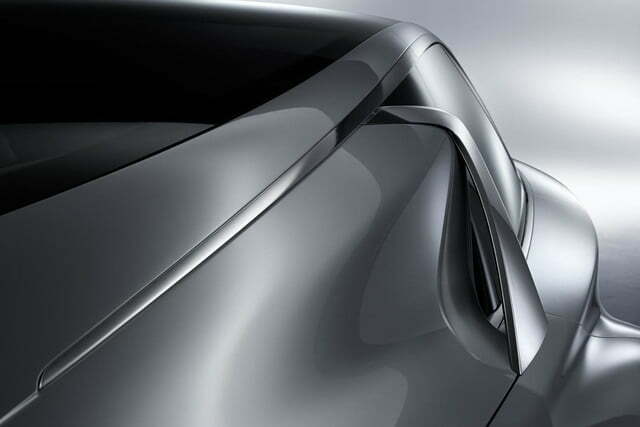 This dramatic four-door fastback previews future Infiniti styling, and possibly a new flagship model that will help Nissan’s luxury brand build a concrete identity. 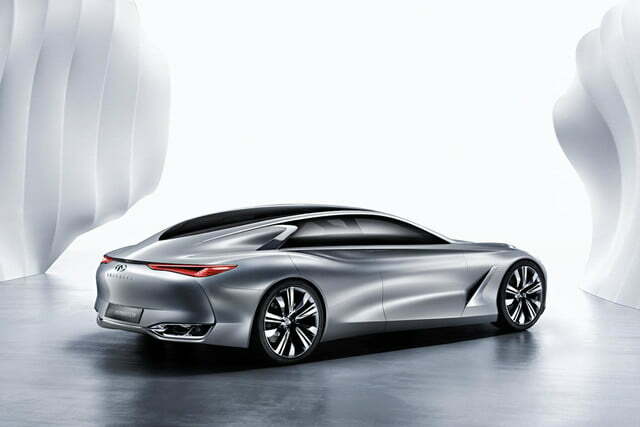 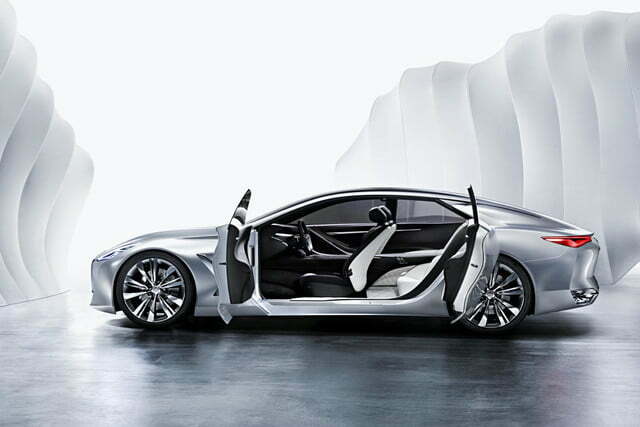 Former Infiniti chief Johan de Nysschen previously hinted at a flagship four-door coupe to rival the Porsche Panamera, and the Q80 Inspiration definitely embodies that idea. 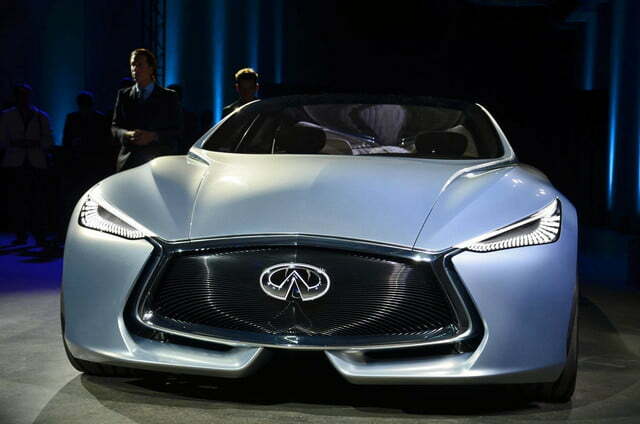 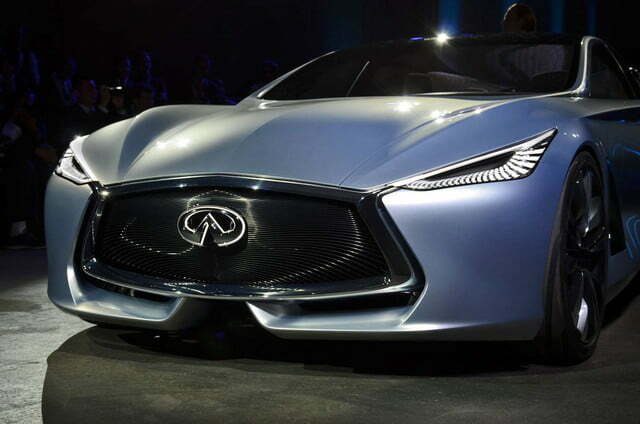 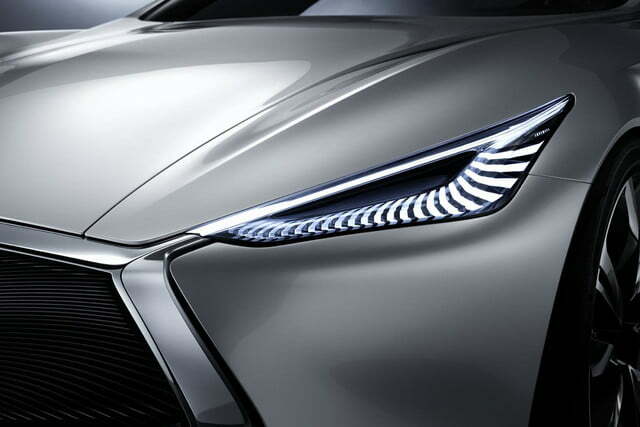 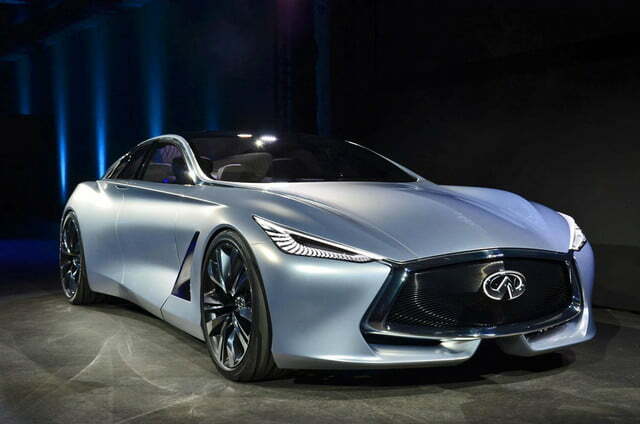 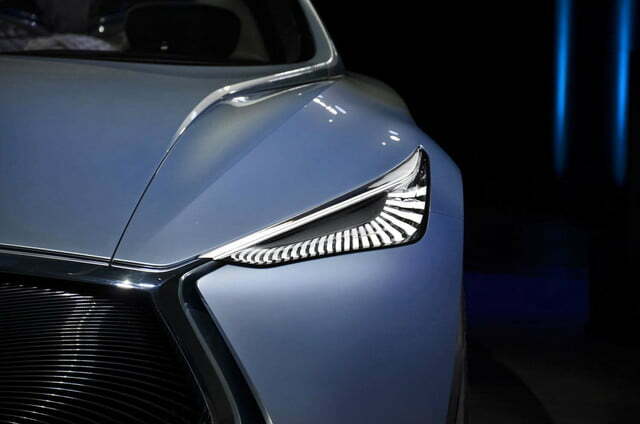 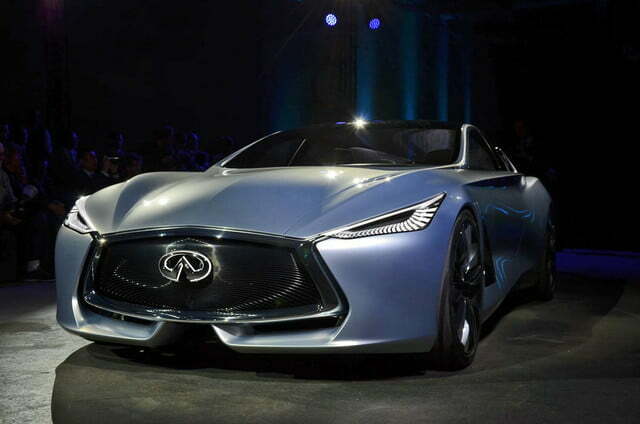 However, with its sculpted sides, streamlined LED headlights and taillights, and sleek roofline, The Infiniti is a much more attractive execution of this formula, even if you mentally dial down some of the concept-car showiness. 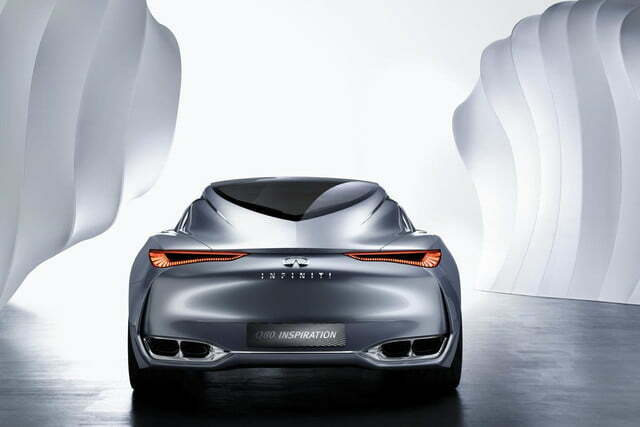 The “crescent-cut” C-pillars not only serve as Infiniti’s answer to the BMW-signature “Hofmeister kink,” but also house vents to cool the car’s hybrid battery pack. 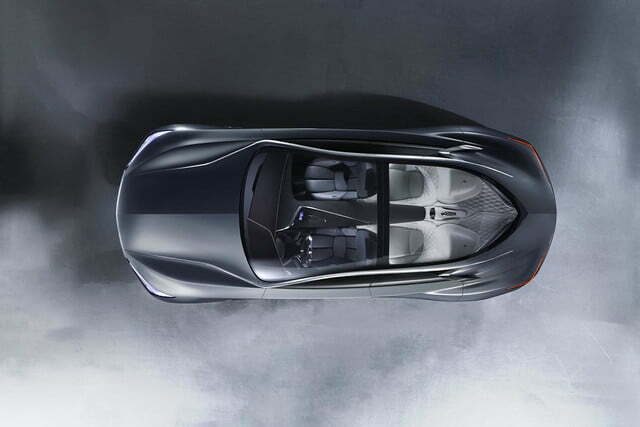 Behind them, the rear glass forms a teardrop shape, which probably isn’t good for visibility, but looks cool. 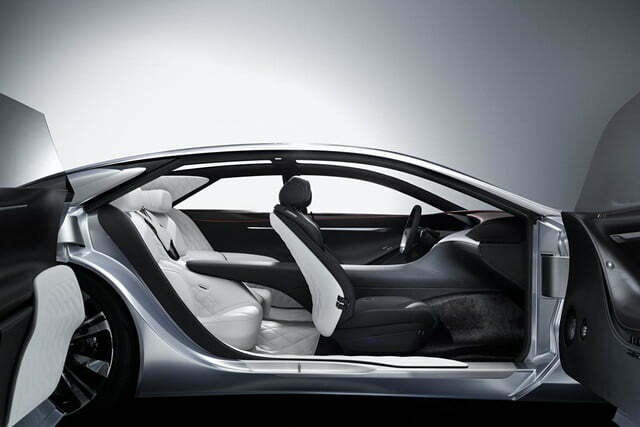 The suicide doors swing wide for easy access to the interior, which features “1+1+1+1” seating that’s supposed to give the driver and three passengers their own bubble of personal space. 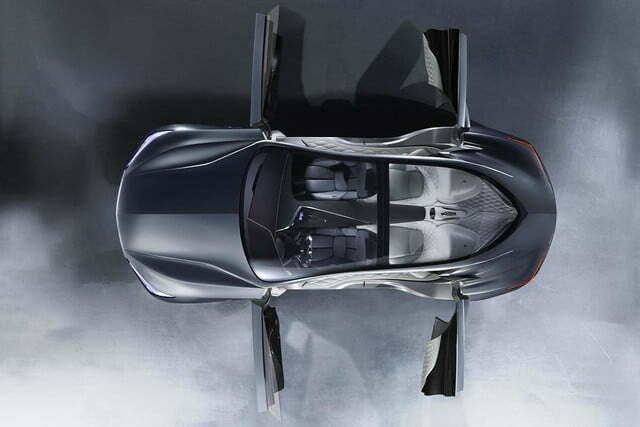 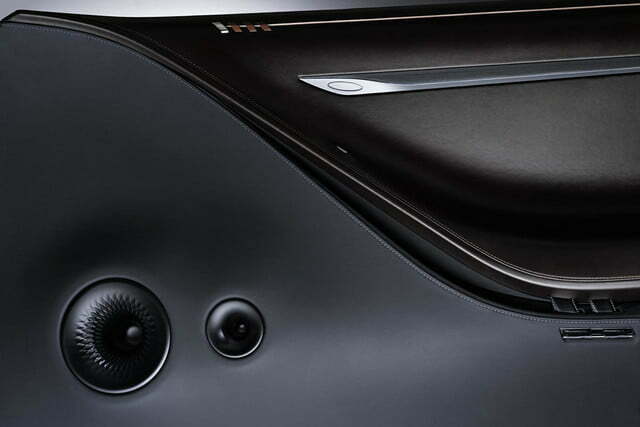 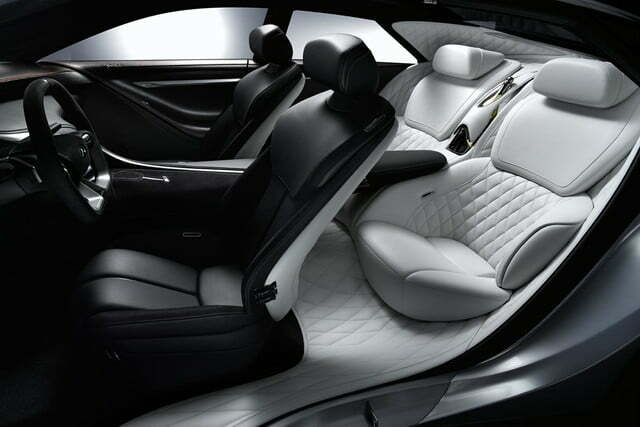 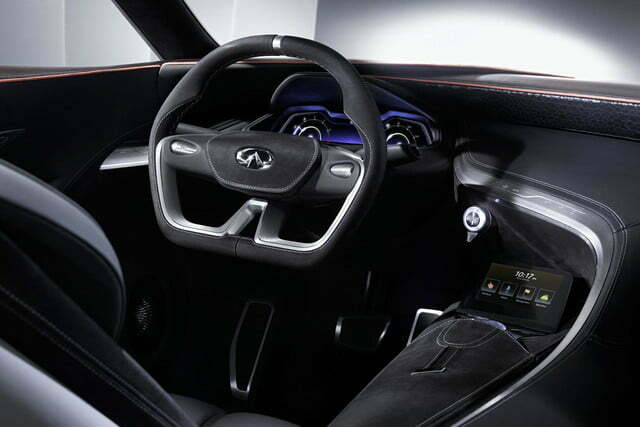 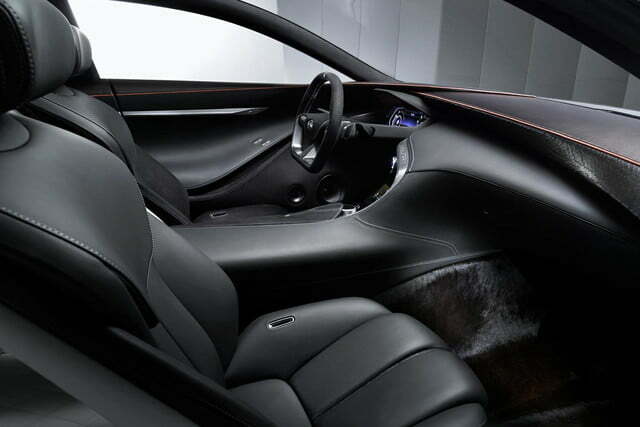 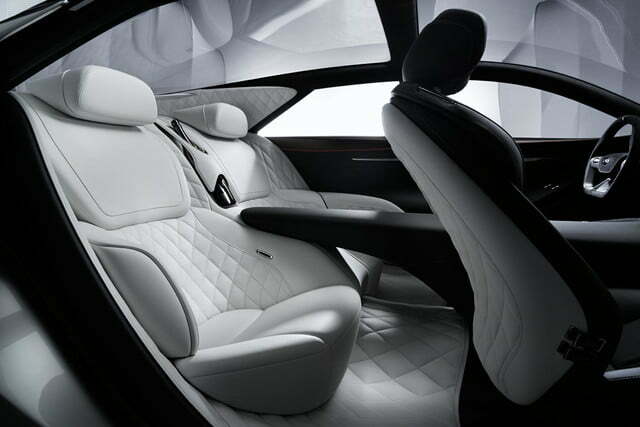 That cabin is lined with the expected mix of leather, wood, metal, and carbon fiber, and is remarkably minimal for a concept car in this age of touch screens and infotainment. 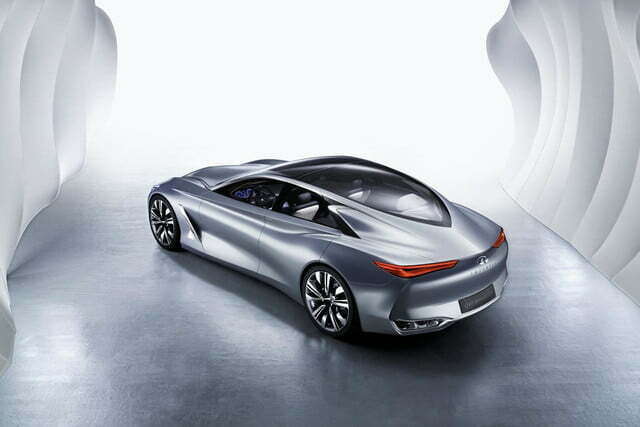 Power for the Q80 Inspiration concept comes from a hybrid system consisting of a 3.0-liter, twin-turbocharged V6 and an electric motor, good for a combined 550 horsepower and 553 pound-feet of torque. 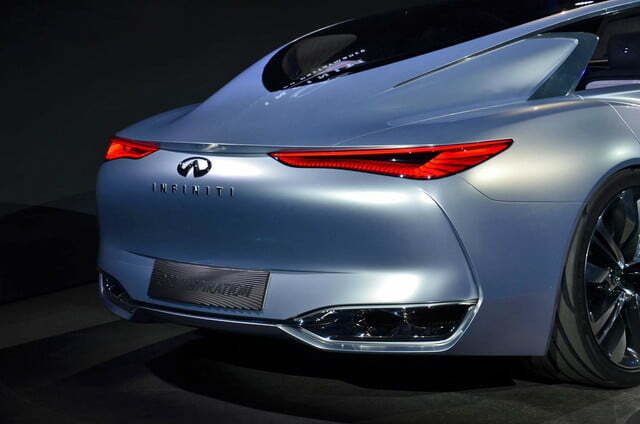 Infiniti says that will get the Q80 from 0 to 60 mph in under four seconds, and on to an electronically limited top speed of 155 mph. 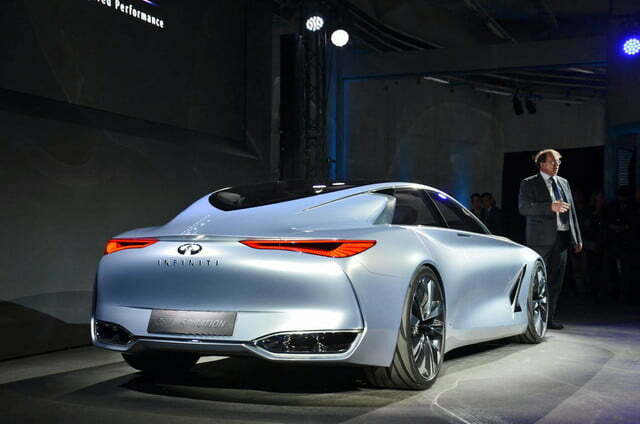 It also estimates fuel economy of around 43 mpg, likely on the highly optimistic European testing cycle. 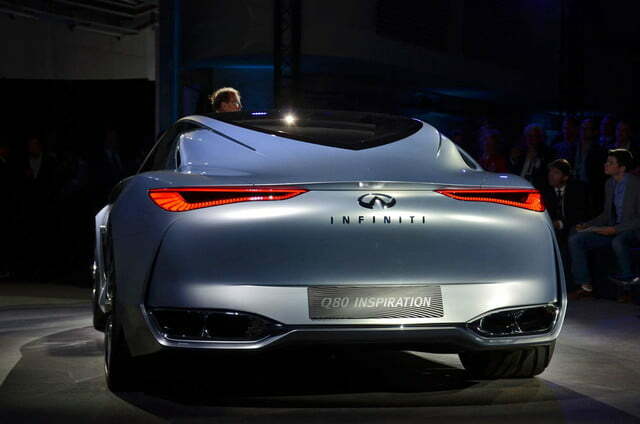 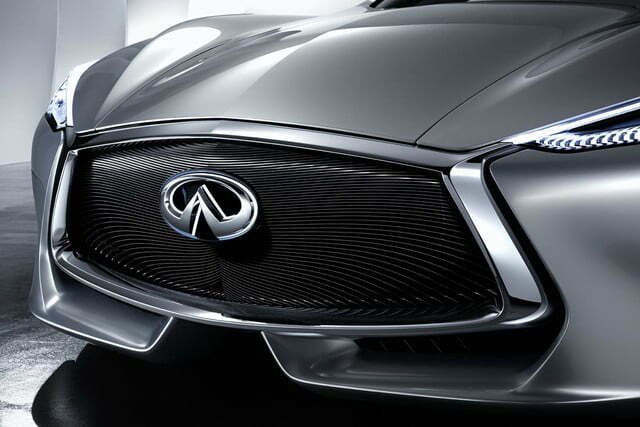 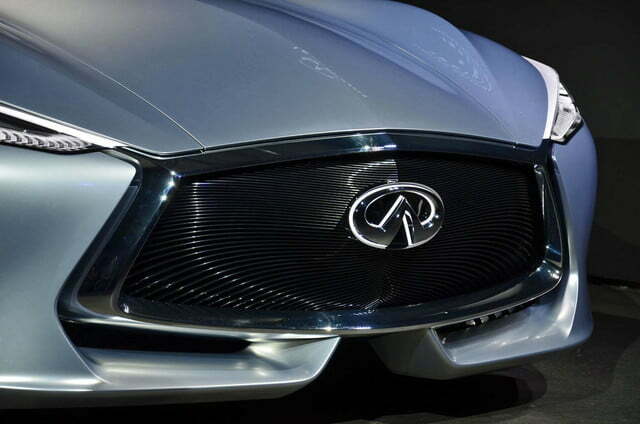 The Q80 Inspiration also features some autonomous capability, courtesy of five cameras and onboard radar. 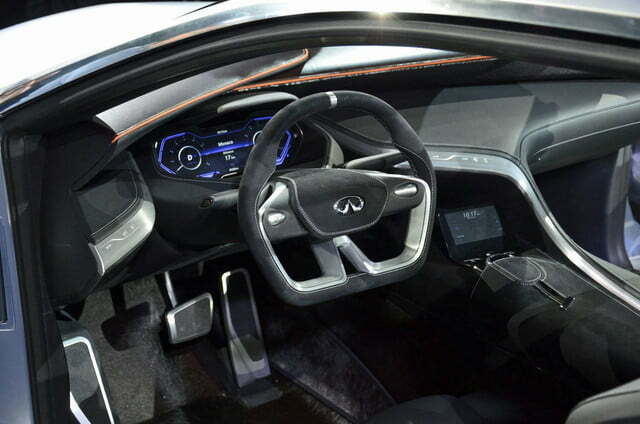 However, Infiniti still wants the driver to remain in control, so the system is only activated at his or her discretion, and is monitored with a head-up display. 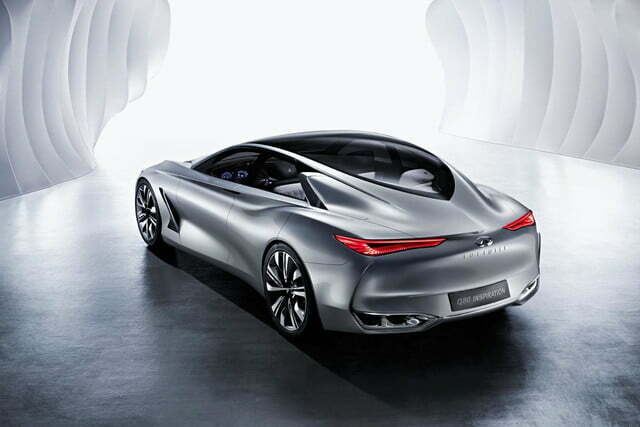 The Infiniti Q80 Inspiration concept itself probably won’t go into production, but different elements of it, including the styling, twin-turbo V6, and even the autonomous tech, all appear feasible. 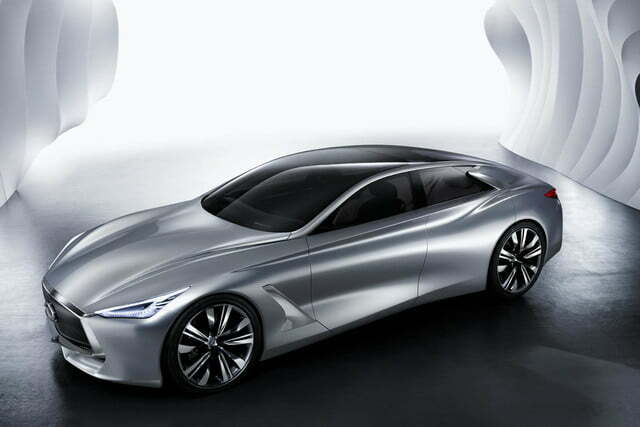 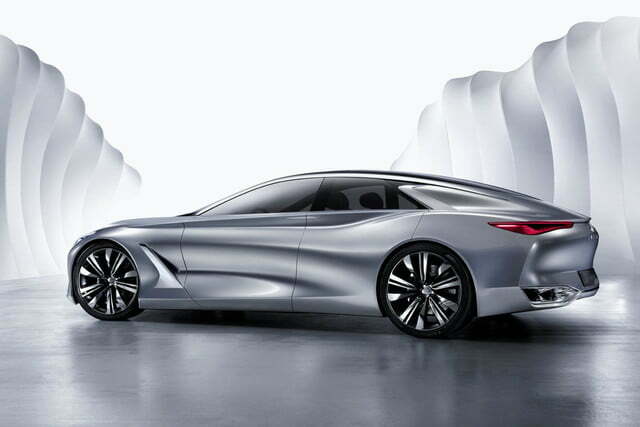 Also, expect a full-size Infiniti flagship to appear in some form in the next couple of years, hopefully with at least some of the flair of this concept.